Scott D. Levine - Rennert Vogel Mandler & Rodriguez, P.A. Scott D. Levine is a partner with Rennert Vogel Mandler & Rodriguez, P.A. and heads the firm’s bank owned REO practice. Mr. Levine concentrates his practice in commercial and residential real property transactions, representing purchasers, sellers, lenders, landlords and tenants in all aspect of their real property transactions, including the preparation, review and negotiation of contracts, leases, loan documents, condominium documents, commission agreements, letters of intent, confidentiality agreements and all other matters related to the acquisition, conveyance, ownership and/or leasing of real property. 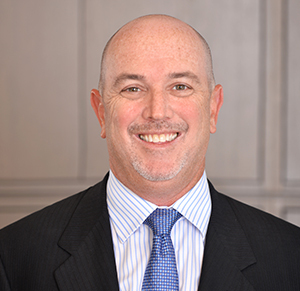 Mr. Levine also has extensive experience negotiating complex construction contracts and has been the lead negotiator of many other complex agreements related to all aspects of the acquisition, construction and/or ownership of real property. Vendor of national title agencies in the closing of the resale of residential bank owned properties (REO). Representation of other lenders and servicers in the resale of residential and commercial bank owned property (REO). Representation of buyers, sellers and developers of commercial and residential real estate properties and projects. Representation of purchasers, sellers, lenders, landlords and tenants in commercial and residential lease transactions.